The Stuff Dreams Are Made Of……. We have a secret that we have been bursting to tell you!! We had a breeding 3 weeks ago and Quivari’s been feeling a little morning sickness! It looks like we have a litter coming in June !! Our beautiful Quivari has been bred to “Harvey”. Yes! The one and only MBIS MBISS BPISS MBPIS BBIS Am GCH Can GCH Ex. 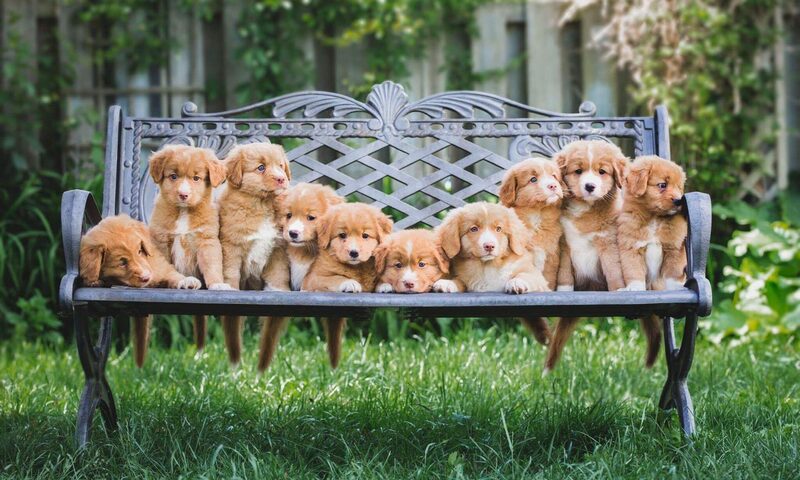 Roaneden’s Int’l Harvester WC CGN JH JAM ROM, Canada’s Top Winning Nova Scotia Duck Tolling Retriever of all time. We are incredibly grateful and honoured to have this rare opportunity to raise and place what is certain to be a distinguished group of puppies. Harvey has won 12 Best In Show titles and multiple Best in Specialty Show. His accomplishments in both Canada and the United States are far too extensive to list here so we invite you to follow this link to his page at Roaneden.com . If you are interested in applying for one of these very special puppies, please contact us here.